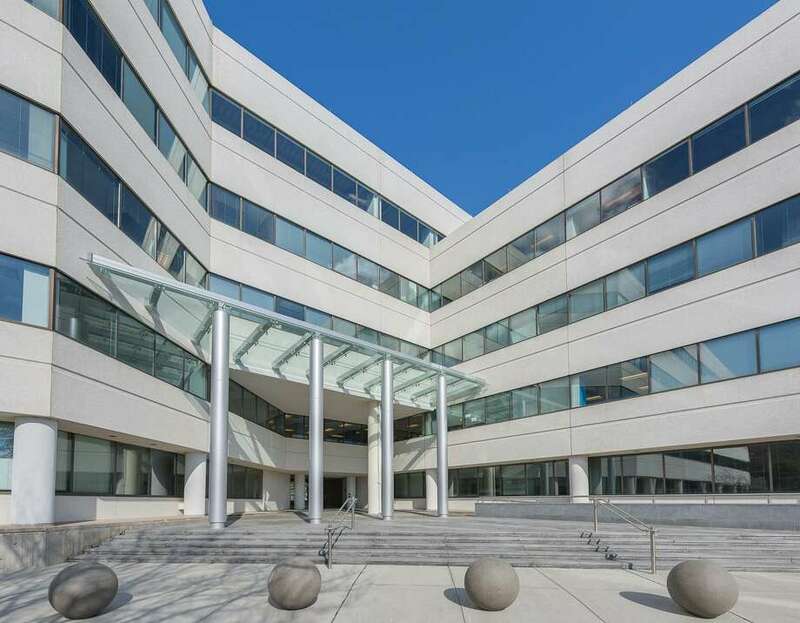 Remedy Partners has signed a lease for 40,000 square feet at the five-story, 412,000-square-foot office building at 800 Connecticut Ave.
A Darien-based technology and health care management company is moving its headquarters to a renovated office building in Norwalk. Remedy Partners has signed a lease for 40,000 square feet at the five-story, 412,000-square-foot office building at 800 Connecticut Ave. The property was purchased by CBRE Strategic Partners U.S. Value 7, a fund sponsored by CBRE Global Investors, in late 2015 for nearly $48.6 million. Since then, the owners have invested roughly $7 million on improvements, including a new cafeteria and conference room and amenities like a a putting green and a bocce court, according to David Block, senior vice president at CBRE’s Stamford office, who, with Joseph Weaver, represented the building owners. Nicholas DeLuca of NAI Signature Group represented Remedy Partners in the lease negotiations. He said the company is planning to move from its location at 1120 Boston Post Road in Darien, where it occupies just 16,000 square feet, into the Norwalk space in February. “Remedy Partners chose 800 Connecticut, after a thorough review of the Stamford, Darien and Norwalk markets, due to the building’s skillfully crafted combination of amenities, recent capital improvements, great access, ample parking and a unique building culture that aligned perfectly with the firm’s employee base as they continue to grow,” Deluca said. Deluca said the company expects to move about 225 employees to Norwalk. He said Remedy co-founder Steve Wiggins, who also founded Oxford Health Plans, had previously worked in the Connecticut Avenue office building and was hoping to replicate his past success there. “He’s got a good history there,” Deluca said. Block said the building still has space available for tenants needing between 2,000 and 85,000 square feet. The Connecticut Avenue property is already home to Priceline, Match Marketing Group and others. With the addition of Remedy Partners, the office structure will be approximately 70 percent occupied, Block said. “We’re hoping to announce more deals over the next few months,” he added.